Vintage Round Diamond Engagement Ring | Shane Co. Both pavé-set and bezel-set diamonds create a dazzling backdrop to this magnificent engagement ring. A total of 16 round diamonds, at approximately .30 carat total weight, are crafted in quality 14 karat white gold among a glimmering vintage-inspired design. 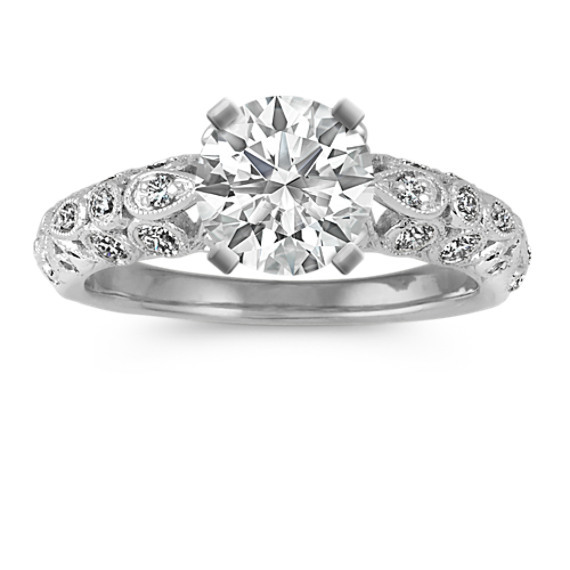 Complete this 4mm engagement ring, crafted of quality 14 karat white gold, with the center diamond of your choice.